We are a leading Manufacturer of valve seat inserts, valve seat insert rings and engine valve seat insert from Rajkot, India. With our rich industry experience, we are actively engaged in providing Valve Seat Inserts. This insert is inspected on diverse parameters for delivering a defect free range. Offered insert is made from high quality chromium and nickel. Best suited for use in light alloy and cast iron cylinder heads as they offer good wear resistance at high temperature and high corrosive resistance. 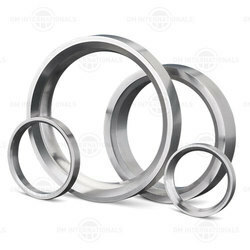 We are a well-known organization, which is engaged in offering a wide assortment of Valve Seat Insert Rings. Manufactured using centrifugal cast to gain required hardness, this seat is known for its strong construction. Our offered seat insert is manufactured to be utilized in the engine of vehicle and machines. The valve seat insert prevents the impact/burying of the valve into the cylinder head. It absorbs a proportion of the combustion heat with which the valve is charged. The valve seat insert gives off this heat to the cylinder head. 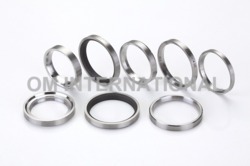 To meet the different strains, an optimum material composition of the valve seat inserts must be found. Not only must the operating conditions in the engine be considered, but also the machinability of the material for the engine reconditioned. Valve Seats are made from High Quality Chromium and Nickel. Valve Seats ground surface is maintained 15 to 20 microns and face parallelism @ 10 microns. 100% dimensions Inspection and Visual Inspection of Valve seat Inserts. Hardness of Valve Seats must be 30 to 35 HRC. Backed by our rich industrial experience in this domain, we are actively engaged in offering Engine Valve SeatInsert. The provided valve guide is fitted in the intake & pressed into cylinder head and are also an effective medium for conducting heat from the combustion process out from exhaust valve into the cylinder head. Our given valve guide is used to position valves and guide valves as move up and down.